Follow the progress. If nothing else is stated, updates are written by Mathias Sundin, co-founder and executive chairman of Warp Institute. Me and Tomas Ahlström had a great meeting with the leadership of Sankt Kors, a real estate company in Linköping. They are stepping up as the main partner for the Warp Space Summit. 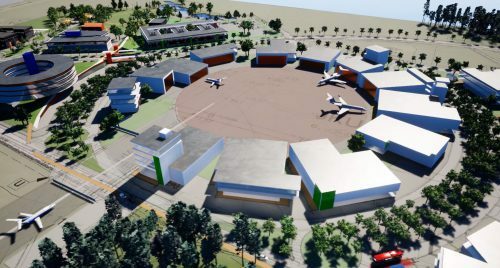 They are doing a really cool project around the airport, called CAVOK (a term used by pilots) and a space summit fits perfectly into their vision for that project. This takes some of the pressure of the municipality, but we still need their support. 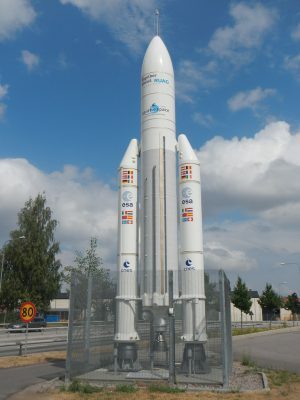 An interview with me (Mathias Sundin) about why we are building a global space community that is going to have its own space program. Per-Erik Atterwall is the founder of Beyond Atlas. Here in an interview about why he decided to do the first private asteroid mission. I mentioned before that we are planning a big, international space conference. Our first thinking was to place it in Stockholm, but then Linköping, close to Stockholm emerged with a very positive attitude. But the municipality didn’t come up with the money needed to decide on Linköping, but instead a local real estate company showed an interest in backing this effort. We are meeting them in a couple of weeks. If they step up, we won’t need as much money from the municipality and Linköping could still be the winner. Also, the name will be Warp Space Summit. That, at least, is decided. Webbdagarna is a big, Swedish tech conference. There we had a booth just outside of the main hall, where we signed-up people that wanted their name in space. Also, Magnus Aschan, the Warp Institute COO, gave a keynote talk in front of 2000 people and talked about our mission together with Beyond Atlas and showed the 3D-printed model of the first spacecraft. In the picture, you have Henny Fröroth, one of our volunteers, and Per-Erik Atterwall, the founder of Beyond Atlas. The crowdfunding for Beyond Atlas is now live! This is both for the first mission, Meeting the Scrap, and the asteroid mission. For the first mission, the Beyond Atlas spacecraft will navigate very close to space debris and photograph it. There will be some very cool photos, and unique. Never before has space debris been photographed like this. 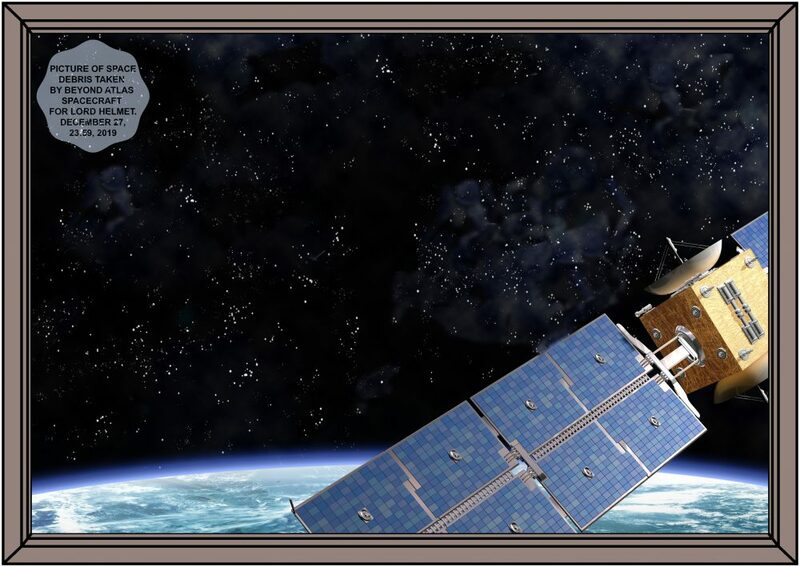 The crowdfunding starts at $20, but already at $150 you will get a photo of space debris, with a digital stamp to show it belongs to you, taken from a spacecraft you made happen. We have decided to do a space event, a space conference. Invite SpaceX, Virgin Galactic, Blue Origin, Made in Space and other cool companies and together discuss how we can make humanity’s future in space come sooner. Top of the list of hosting this event has been Stockholm or Raleigh, North Carolina. Stockholm is our home and a great tech city. Raleigh is the fast-growing capital of North Carolina, where I have many contacts and friends. But suddenly, a new contender has emerged. When I talked to Tomas Ahlström about this, he mentioned Linköping, just south of Stockholm. Tomas is one of the volunteers but also an event organizer and entrepreneur. He runs East Sweden Game and LiU Game Conference with a 1000 people audience and has a background in video games. So upon his suggestion, I went to Linköping to meet with Visit Linköping and they loved the idea. “We are one hundred percent behind this!” they said. Linköping is where they build Swedish fighter jet JAS Gripen, and they have at least one space company, RUAG Space. Last year I went to the opening of their new factory, where they are building parts for OneWeb who plans to send up 800 satellites to cover the globe with internet access. So Linköping feels like a real possibility. Now we’ll talk to a couple of companies down there and see if we also can get their support. 12 finalists, 15 minutes to present and then 5 for questions. They already have all the documentation we sent in during the summer. Now I feel stupid that I did not put more effort into the summer papers already submitted. 10 judges from all over the world.I drew the 11th presentation slot. I will present at the end of the day. Waiting, waiting, waiting. Presentation, so nervous, I am never nervous, but that rule does not count now. I want to win for us. After my presentation, we have dinner with Dr. Yu and Madam Yu from CNSA. Peter and I (mostly Peter) introduce lots of Swedish snaps songs which work perfectly with the Chinese schnapps. In the middle of dinner, Dr. Yu gets the result from the competition. WE WON!! It feels incredible. The recognition from the international CubeSat community. The competition of so many great competing missions. And we won. First prize is a free launch to LEO and a pile of money. The team is just laughing. If this competition were in Europe, they said, the first price would be a T-shirt. Starting early next year we are going to contact them all and ask them to contact their members and invite them to Warp Space Program and Beyond Atlas. When we ask people to sign up for something in our Facebook group for Warp Institute, usually five, ten or maybe twenty people do. Now, when I hinted about a space project, not telling people what it was, over 80 people signed up right away.